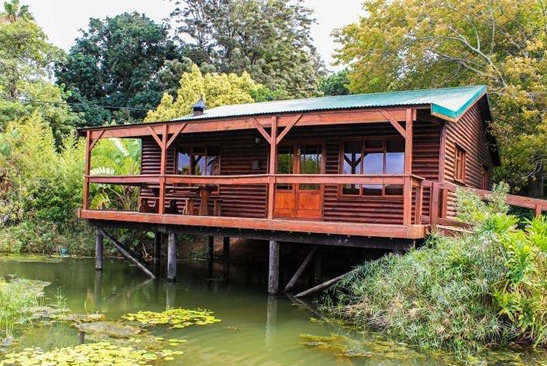 We have constructed three beautiful, large wooden cottages with air conditioning in our trophy angling dam. 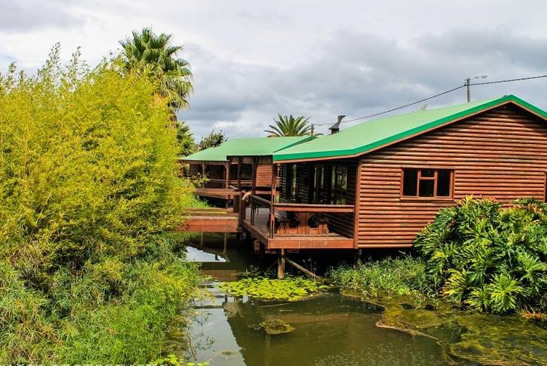 The cottages are linked with wooden walkways across the water. 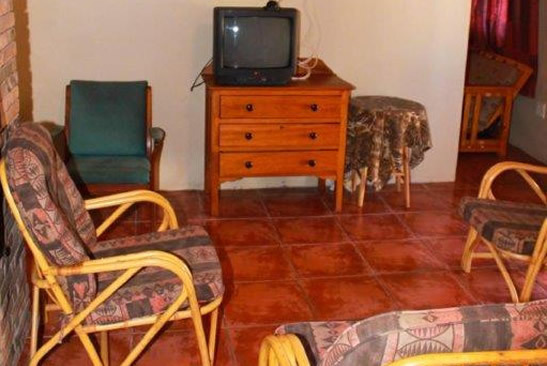 They consist of two en-suite rooms as well as two single beds in the living area. 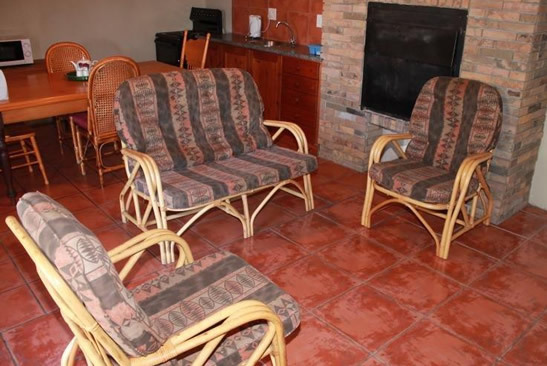 They come equipped with indoor as well as outdoor braai's, DSTV, DVD players and can accommodate six people. 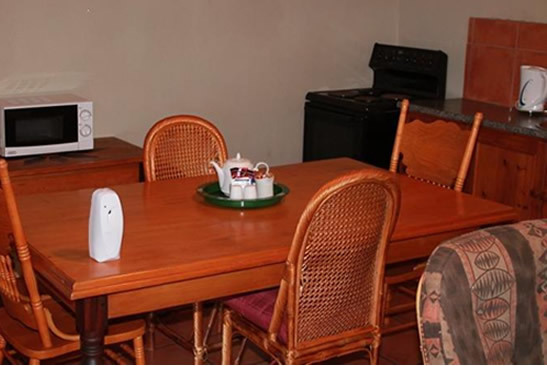 The kitchenette consists of fridge/freezer, toaster, two plate oven, kettle and all crockery and utensils. 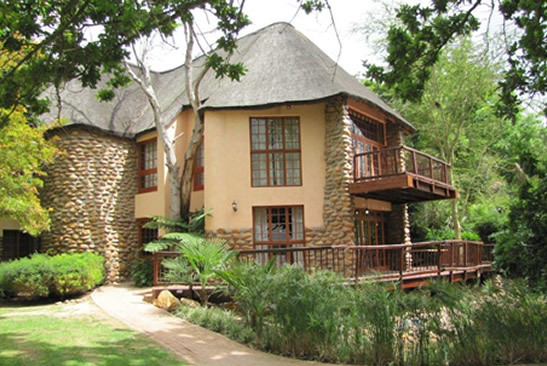 Accommodation comprises two lovely suits on the upper floor of the thatched Lodge. 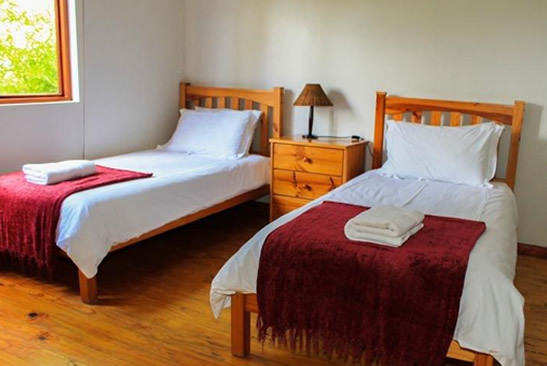 One double bed suit and a two single bed suit. 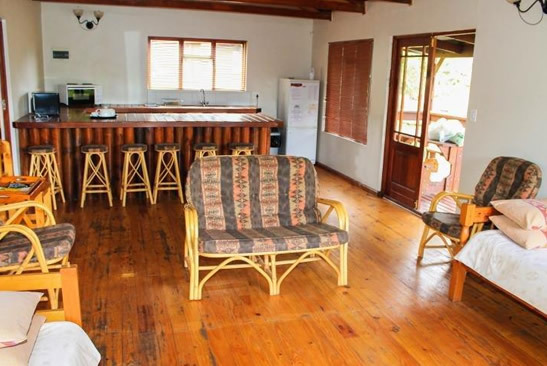 The lodge has a massive indoor area to relax in. 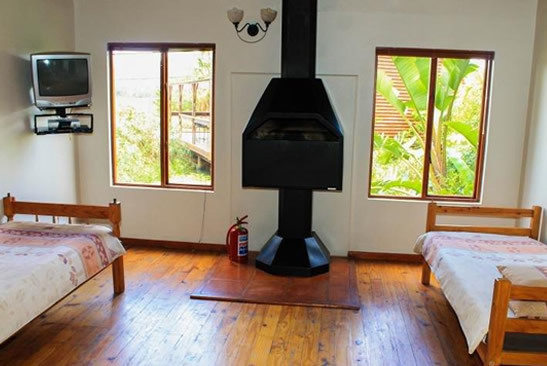 It also includes up market back packers which sleeps 8 people. 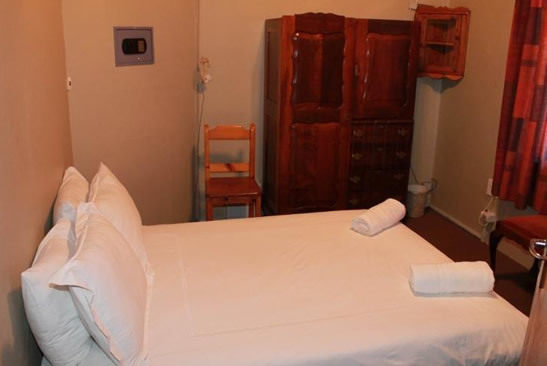 It is ideal for big groups of 12 people travelling together. Bikers and outdoor groups find it very suited to their needs. 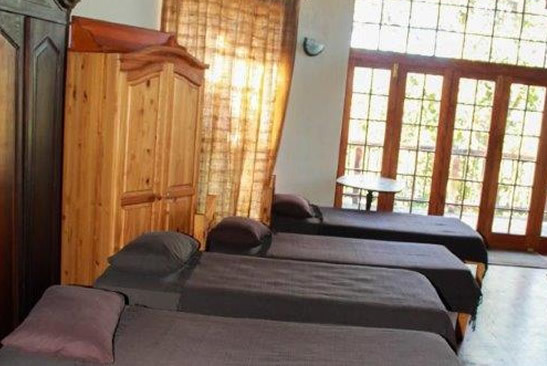 Special packages for large groups of 30 people are offered. 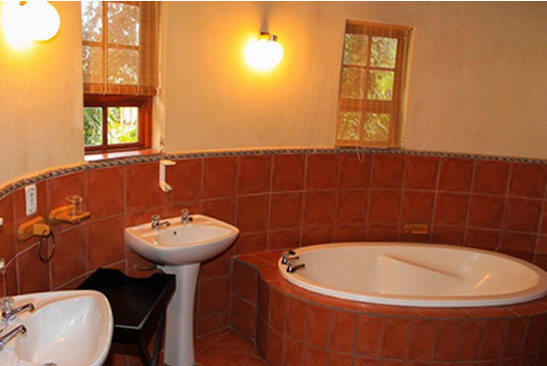 Our quant little cottage is a piece of history, restored to serve as a self-catering guesthouse. 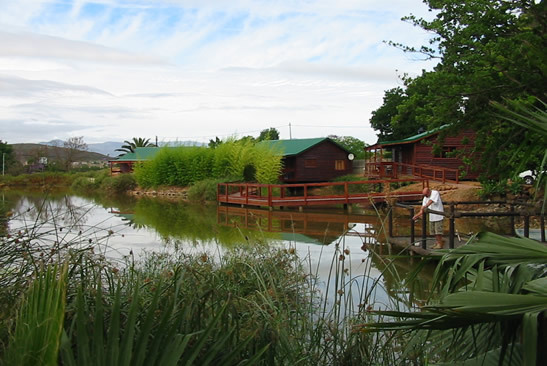 It is situated next to the restaurant and our main angling dam. 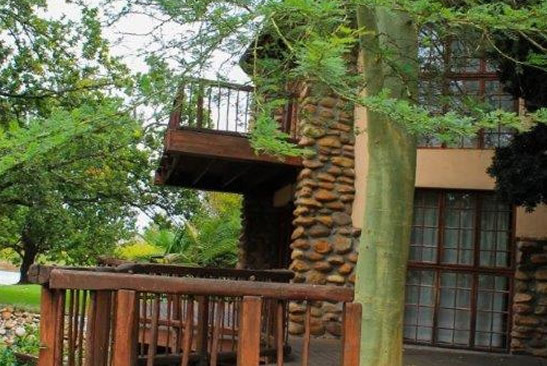 It has its own security gate, which opens onto the main road of Bonnievale. 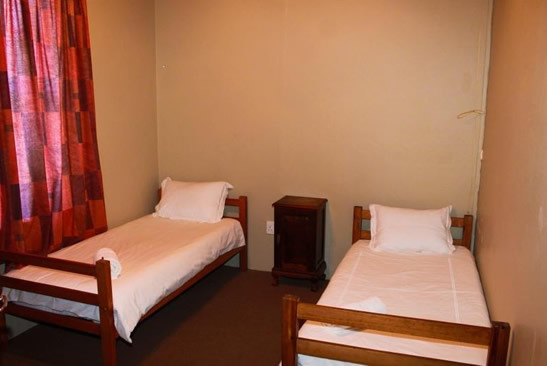 It has two bedrooms, one with a double bed and the other with two single beds. 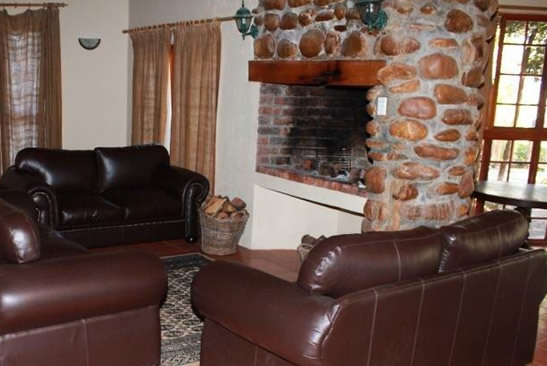 There is an added sleeper couch in the living area. 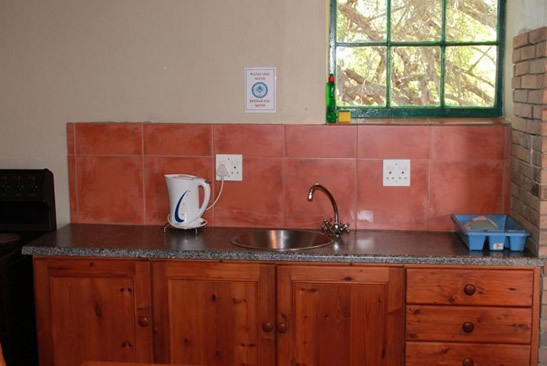 The kitchen is equipped with fridge/freezer, microwave, kettle and utensils. 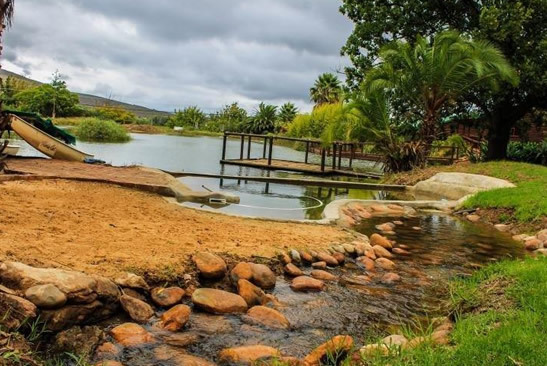 You can relax with a sun downer and watch your rods from the front porch and outside braai!